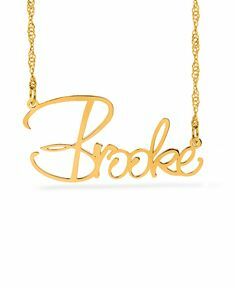 This Drop Down Petite Name Necklace is available 925 Sterling Silver, Gold over Sterling Silver. 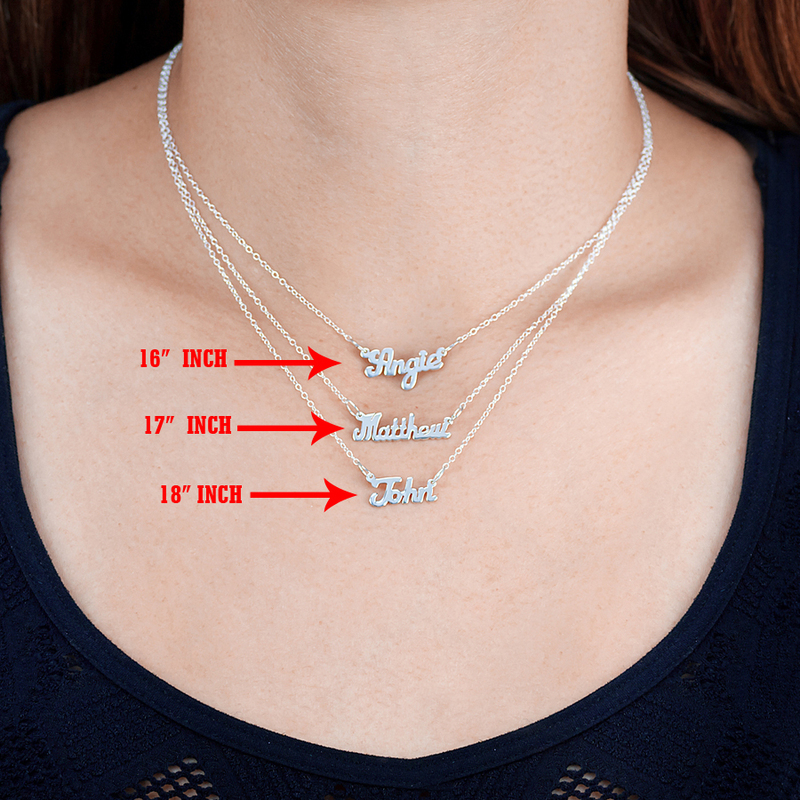 Please note: These are 3 separate necklaces, in order to achieve the drop-down look. 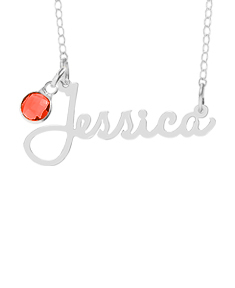 You must order your name necklaces in descending order. 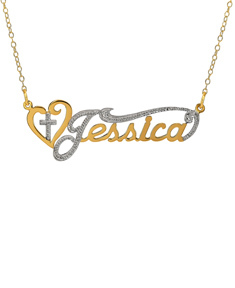 For example: Necklace #1 in a 18" Chain, Necklace #2 in a 17" Chain, Necklace #3 in an 16" Chain. 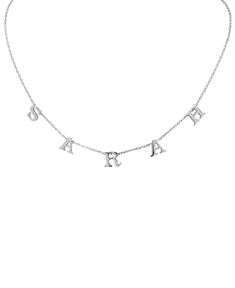 Chain length 1: Please Select14"15"16"17"18"
Chain length 2: Please Select14"15"16"17"18"
Chain length 3: Please Select14"15"16"17"18"
Chain length 4: Please Select14"15"16"17"18"
Chain length 5: Please Select14"15"16"17"18"